We’re getting technical today people, and it’s all in the name of good photography! 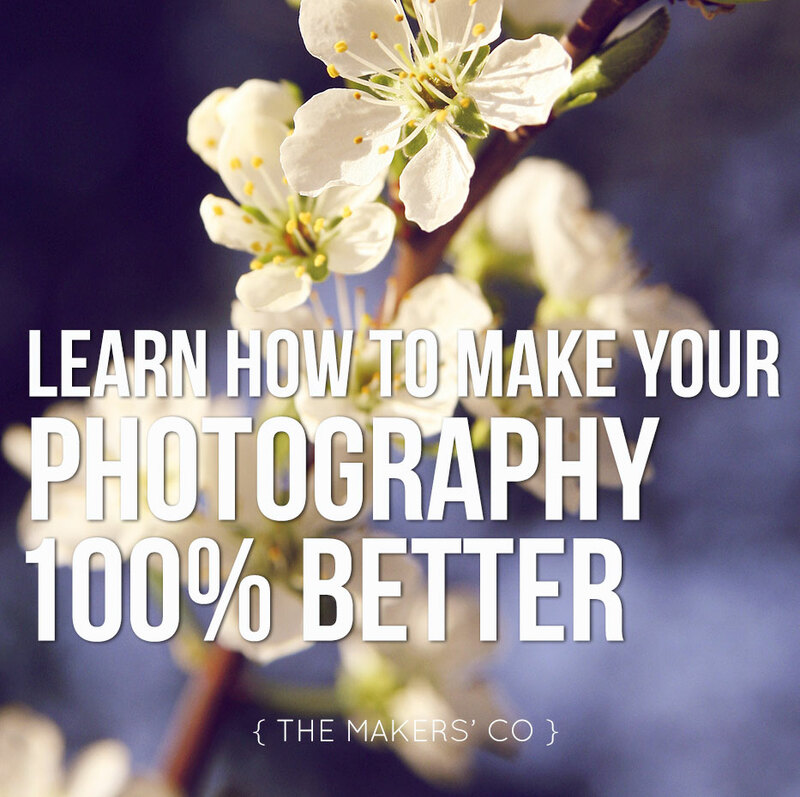 Are you someone who has a DSLR camera, but always uses it on the auto setting? If so, I’m about to blow your mind with knowledge. We’re talking about the Exposure Triangle, and how mastering this aspect of your camera settings will give you total control over how your photograph will look (no more “hope and see” once you’ve clicked the shutter!). 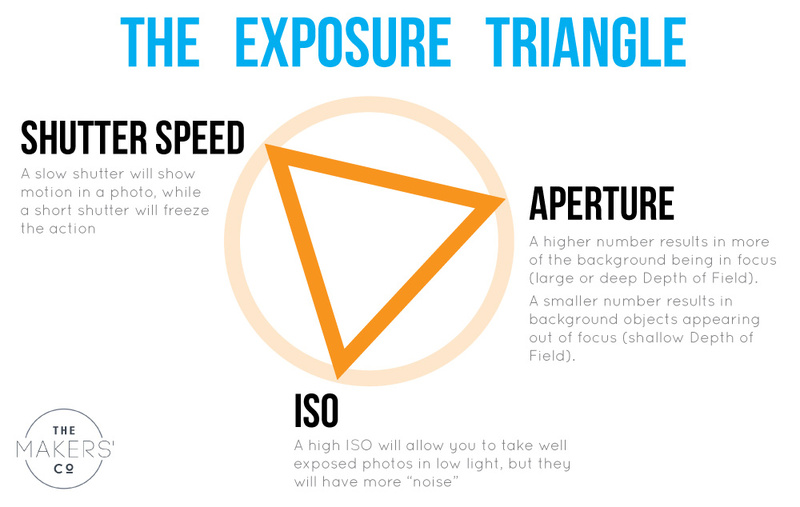 The Exposure Triangle is made up of 3 settings: Shutter Speed, Aperture (Depth of Field) and ISO (“film speed”), and the perfect photo has all three settings balanced, according to the environment you are shooting in. 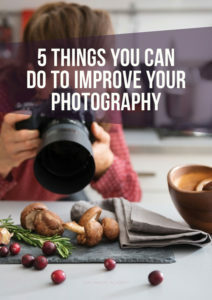 Each setting effects the other two, so you need to understand the relationship between the three settings to be able to control your camera and the resulting photograph. 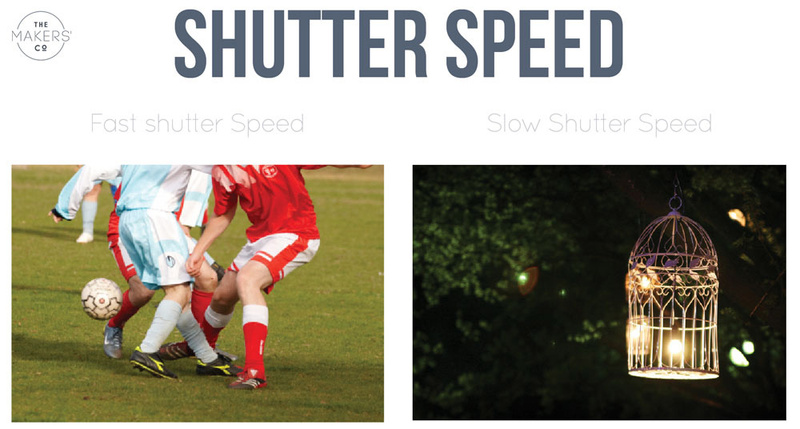 Shutter Speed : how long the shutter remains open for, allowing more light (and movement) in. A slow shutter will show motion in a photo, while a short shutter will freeze the action. For sports photography, or to freeze a bird flapping it’s wings, you will need a FAST shutter speed, of at least 1/200 or more. This lets LESS light in, so the environment needs to be well lit. A slow shutter speed lets MORE light in (as the shutter is open for longer), but a slow shutter of under 1/60 of a second will probably show camera shake as you press the button, and for anything slower you will need a tripod. To take a photo of a dinner setting by candle light, you will need a slow shutter speed (and probably a tripod). To capture the movement of fireworks you would need a slow shutter speed of perhaps a second or two, and for star trails across the sky you would need anything from 30 minutes to several hours! 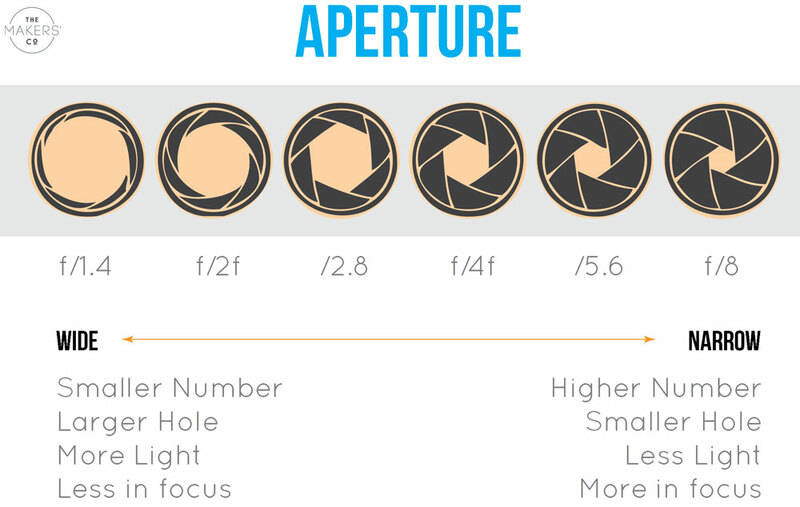 Aperture : the size of the physical opening to the lens. It determines how much of the image in is focus (Depth of Field). A higher f-stop (from focal length) number (eg f8, f11, f22) results in more of the image (foreground and background) being in focus (a large or deep Depth of Field). To add to the confusion, a small number = a larger opening = more light, and a larger number = a smaller opening = less light being let in. Bright situations will call for a low ISO setting (which is best anyway to reduce noise/grain, otherwise your aperture will need to be a smaller opening (less light, larger number) or shutter speed will need to be faster (letting less light in). Most current DSLR cameras handle “film grain” very well and unless you are shooting in VERY low light situations, you probably don’t need to be too concerned at pushing your ISO a bit higher. Lower is always best though.